(S) Vintage 70's Mens Hawaiian Shirt! Shades of Blue w/ White Hibiscus Flowers! 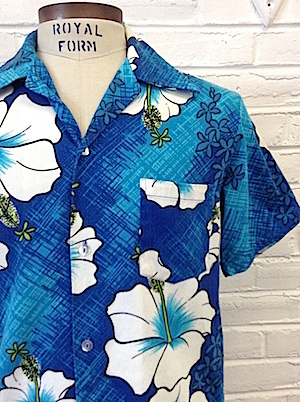 Home > Men's Vintage Shirts > Hawaiian Shirts > (S) Vintage 70's Mens Hawaiian Shirt! Shades of Blue w/ White Hibiscus Flowers! 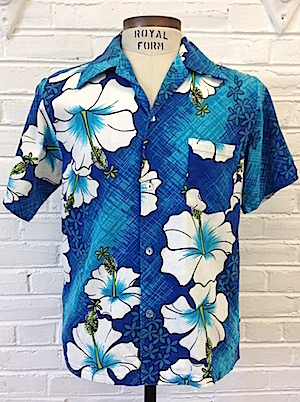 Vintage mens 1970s Hawaiian shirt! Shades of blue with big white hibiscus flowers. Closes in the front with pearly white buttons. Has one chest pocket and a straight hem. Tagged by Hukilau Fashions. No Material Tag but feels like cotton or a cotton blend.